Burglary is definitely a crime that no one wants to experience. Fortunately, there are methods offered today to prevent this from happening and one of these is by installing security systems. Security systems give everyone peace of mind. This is the reason it becomes an important necessity to one’s property. If you are considering installing one, it’s important to understand how security systems work. This is a great way to know how you can maximise its usage and functionality. It may sound overwhelming, but the truth is a security system is fairly simple. The first step is to identify the entry point through sensors. Sensors are one of the main components of security system. With the sensors help, the security system can properly identify the exact entry point of the intruders. These sensors can be placed on the wall, ceiling, door, and window. The second step is for the main control panel to establish the type of response to implement. Other than the intruder, the security system can also detect other emergencies such as smoke, flood, fire or gas leaks. To ensure the security system will give an accurate response for each emergency, it will gather all the data from the sensors. Upon determining the type of emergency, the main control panel will trigger the alarm. The third step is the trigger for the alarm. The alarm will produce a noise upon receiving the notification from the main control panel. The sound will vary on the type of security system you have. For a monitored security system, it has a silent alarm; while for wireless or unmonitored security system, it will produce high-decibel sounds. Note: In Australia, the standard length for the security system alarm to sound is 5 minutes. You might also read: How effective are home security systems? The fourth step is notifying the appropriate emergency response team. This step will vary depending on the type of security system you have at your property. For a monitored security system, the emergency will be verified by a professional security specialist and contact you to know the exact situation. If they prove that it’s not a false alarm, they will contact the right emergency response team. For unmonitored or wireless security system, you need to call the right emergency response team to help you. If you are nowhere close to your property, the only way for the emergency response team to get notified is when a neighbour call for help. Note: If the emergency is a false alarm, you can easily disarm it using your security code or remote key. If you are not at home, make sure to keep your phone line open or leave your security code to a trusted friend/neighbour. If the neighbour or police fails to contact you, you will be fined with a false alarm fee. The last step is when the emergency response team arrives at your property. Hearing the loud sound of your security system’s alarm is stressful. But this feeling can be lessened if you know exactly what type of emergency you are dealing with. Most security systems can also detect fire, flood and gas leak. 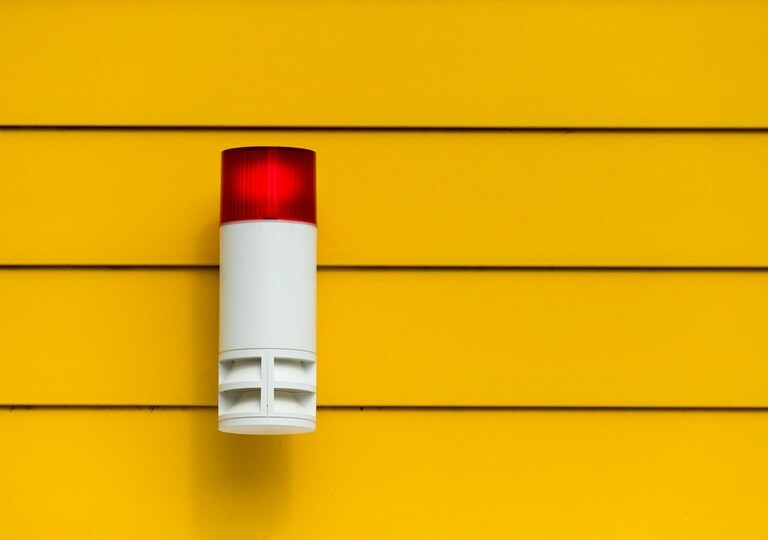 Some security systems have a distinct sound per emergency type, but there are some that have the same sound for everything. The best way to know it is by reading the security manual or ask a professional security system specialist’s assistance. HIREtrades is a one-stop online marketplace for connecting consumers and businesses, covering 200+ trades and serving all states across Australia. Visit our dedicated Security page or Get A Quote by filling out our quick and easy form.